Clean Air’s Victorian Fireplace Inserts are perfectly suited to an existing, unused open fireplace and must be installed into a full brick masonry chimney. The very picture of luxury and elegance, the Clean Air Victorian Fireplace Insert commands attention as the centerpiece of the room. With a classically slimmer fascia than standard and the high arch with an optional decorative cast trim, the Victorian Fireplace Insert may be beautifully finished with an optional crafted timber mantelpiece. This timeless wood heater provides maximum heating capacity and efficiency with very low maintenance and a great deal of appeal. 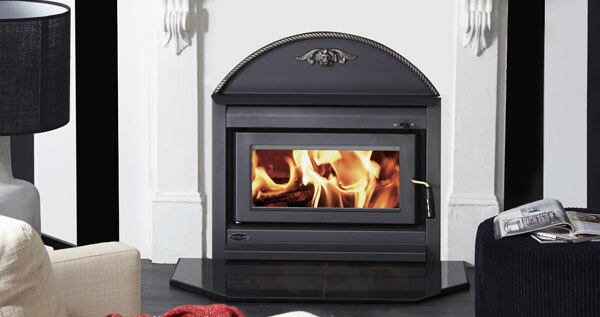 The Victorian Fireplace Insert utilises the same Firebox design as all Clean Air Wood Heaters, is designed for very large, open plan houses with high ceilings, and will heat up to 30 squares. Noted for efficiency, performance, and low emissions, the long burn times of Clean Air’s slow combustion wood heaters ensure maximum heat for minimum cost, day and night. With traditional charm, the Clean Air Victorian Fireplace Insert is ideal for your period home, to finish off your renovation, or if you simply like the style. Designed for the most spacious of Australian homes.